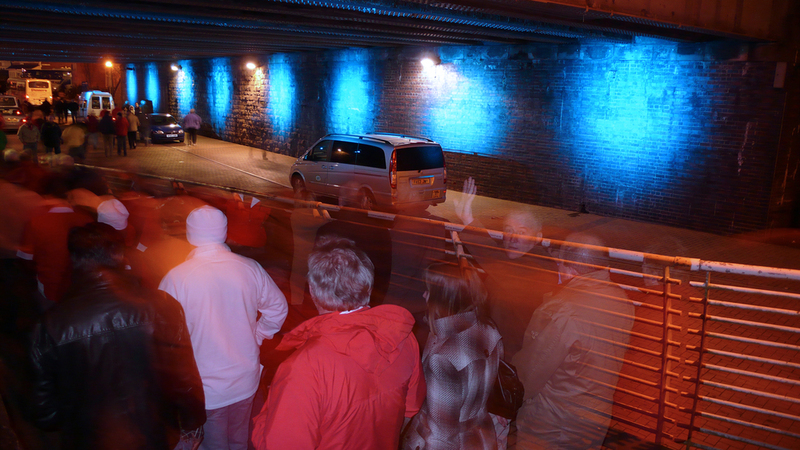 DO were commissioned through open competition to introduce feature lighting to Cardiff Central Station bridge and the adjacent pedestrian underpass. Simple pools of light on the inner walls of the railway arches create random colour sequences, occasionally synchronising to connect 4 in-a-row. Complimentary colour sequences in the underpass mark the entry / exit threshold, while the interior space illumination suggests the space may function as a destination and not simply a route.